Recently it seemed like my baby just wasn't performing up to par so I did what any good mom would do and found a specialist to address the issue. As it turned out the specialist was located in Warwick, Rhode Island about 55 miles away but a mom's gotta do what a mom's gotta do so on Wednesday morning I left Amanda and Jamie still snoozing in their beds and headed east. For awhile now I'd been thinking that the Nikon was in need of a good cleaning but until recently the only thing I had been able to find was a place in Enfield, Connecticut that would have required me to pack up and ship my baby to them and then wait close to two weeks to get it back - something I wasn't really comfortable doing as my camera has become almost an appendage of myself. Fortunately, a fellow Nikonian and dispatch partner (thanks, Kevin!) 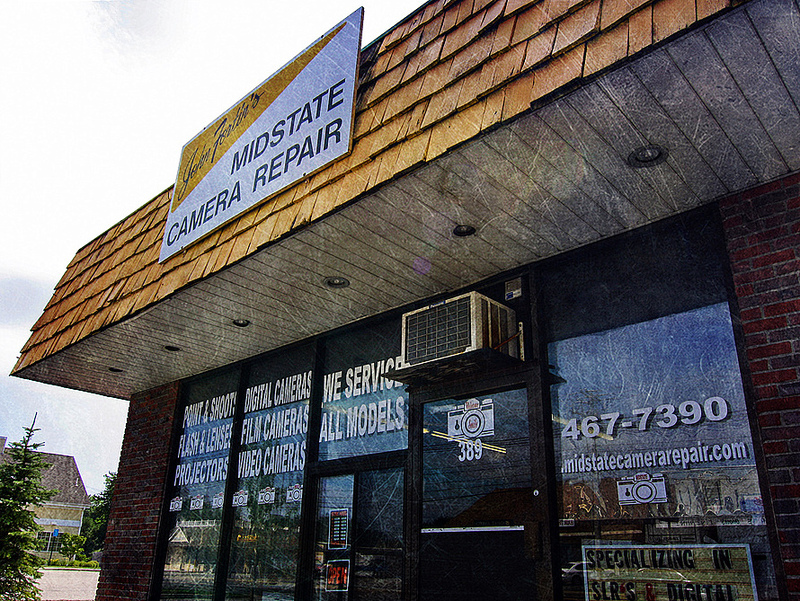 found out about Midstate Camera Repair which had a one-day turnaround at a better price so I was happy to make the drive over with both my camera and his. After all, it was a beautiful day for a drive and gas prices are generally cheaper in Rhode Island to boot! 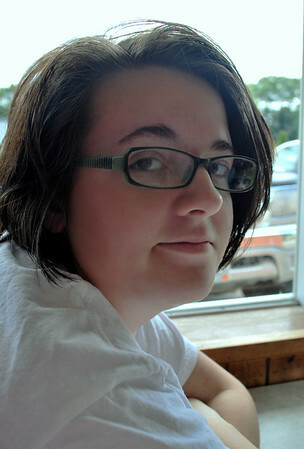 On Thursday I made the drive back over to Warwick but this time I had both teenagers with me along for the ride and being that it was past lunchtime by the time we got there for my reunion with my sparkly clean baby, it was decided that we should fine some grub somewhere. 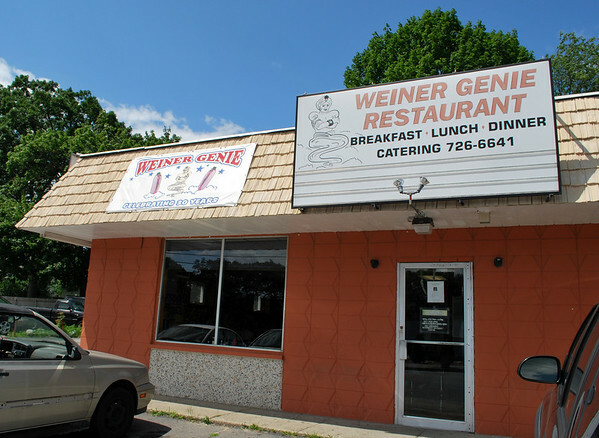 One of Amanda's friends from college lives in Pawtucket and she highly recommended the Weiner Genie in Lincoln as a really good lunch spot. Okay ... I'd never heard of that one but I was familiar with the Quahog delicacy of "gaggas" so I figured we'd give it a shot. After looking up the address on my iPhone, I plugged the info into my GPS and off we went - gotta love technology, huh? Less than 30 minutes of semi-white-knuckle driving through Providence later we pulled up to a very humble-looking establishment that had to be the place based on the sign above the door. 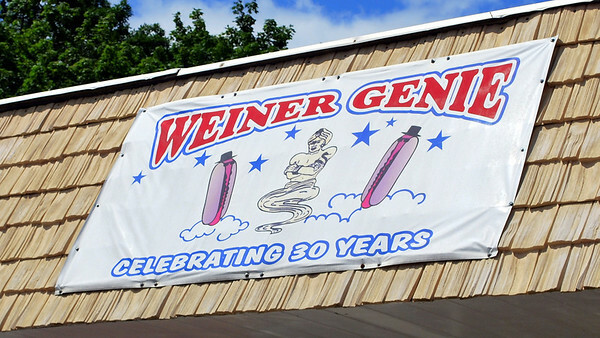 It appears that the Weiner Genie has been conjuring up good eats for quite a long time based on the banner below but I have no idea how long they've actually been celebrating their 30 years of business as it looked like the banner had been there for awhile! 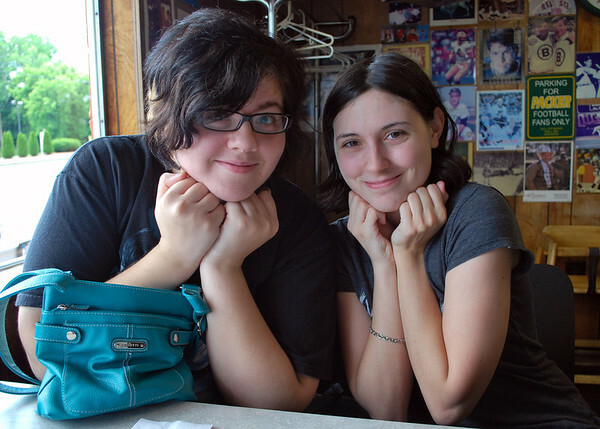 Just as we pulled up and piled out of the car so did Amanda's friend Sam who had taken advantage of Amanda being in the area to meet up with her. More technology had Amanda texting Sam to tell her that we were in the area so even though Sam had just had lunch at the Weiner Genie herself a little bit ago, she joined us for a soda and a few french fries. Naturally I took advantage of having a newly cleaned camera to take a couple of pictures - Amanda and Sam striking a pose above and Jamie looking rather skeptical to the left. As you can see from the picture below, the Weiner Genie is just as humble on the inside as it is on the outside. While we perused the menu trying to decide what to have, Sam gushed about how she'd been eating there all of her life and absolutely loved the place which seemed like a pretty good testimonial to me as teenagers can be notoriously picky eaters - or at least my oldest teenager can be so it rather surprised me to learn that Amanda actually liked gaggas to begin with! 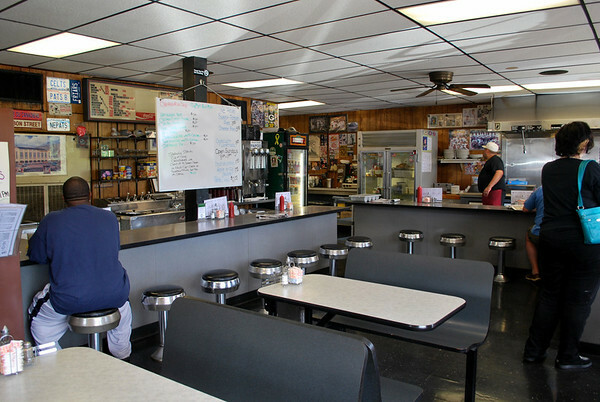 For those of you not familiar with Rhode Island cuisine such as Awful Awfuls, Johnnycakes, Del's frozen lemonade, and Autocrat coffee milk, "gaggas" are small hot dogs (or wieners) with a natural casing that are slathered in mustard, meat sauce, chopped onions, and celery salt and served in a steamed bun. I became aware of them myself when I first started working at American Ambulance and a crew that had transported a patient to a hospital in Providence brought me back one. Not being enamored of chopped onions I prefer mine without - as does Amanda who totally freaks when she finds even a sliver of an onion in spaghetti sauce. I suspect that probably breaks some sort of sacred Rhode Island tradition but what can I say? I just don't like raw onions on my food. 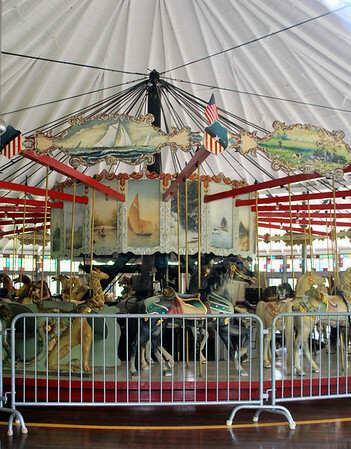 Following lunch the thought occurred to me that if we were in Lincoln then we probably weren't too far away from Slater Memorial Park in Pawtucket which is home to an 1894 Charles Looff carousel. 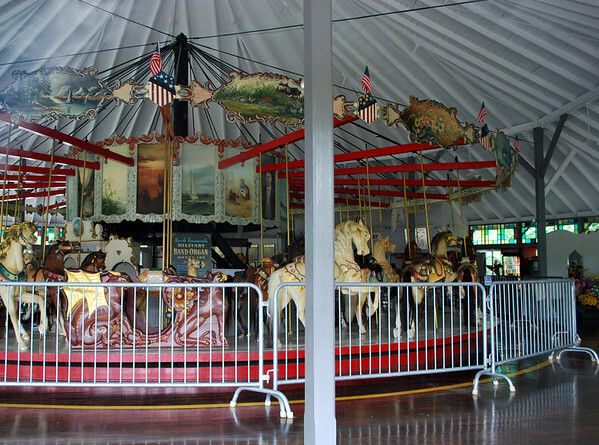 I'd read about this particular carousel back when Amanda and I had visited another Looff carousel located at Crescent Point Park in nearby East Providence back in August of 2009 and had hoped to someday get to see it. Sam said she knew exactly how to get to Slater Park being that she used to work there so it was decided that she'd leave her car at the Weiner Genie and take a ride with us to see the carousel. 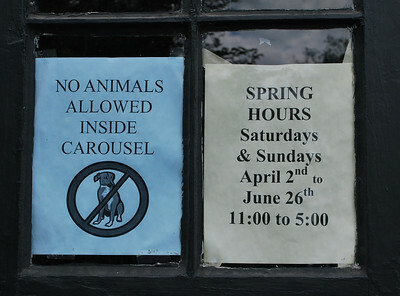 However, it was much to our disappointment that when we got to the carousel house it was closed! Uhm, guys? 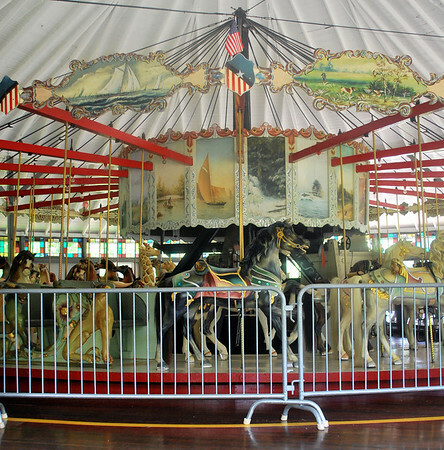 I believe it was June 30th which meant that the carousel should now be open for summer hours but obviously that was not the case. Oh well, what's a girl to do but take some pictures through the windows? 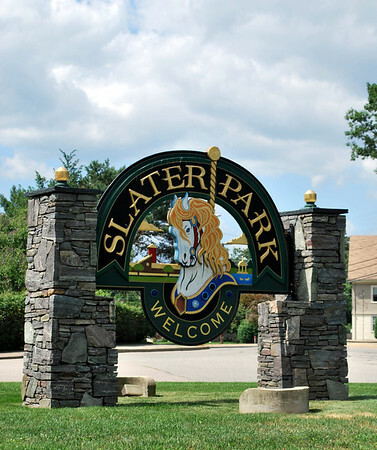 Not exactly what I had in mind but I guess it was just going to have to do until I can get back to Slater Park - which has a very interesting history of its own - when the carousel is open and running. Poor Sam felt really bad and kept apologizing over and over for the carousel being closed but as I told her, it certainly wasn't her fault and it was okay as I now know where it is and that will make it easier to get to another time. And trust me, there will be another time as a return visit to Slater Memorial Park will make a perfect post for The Distracted Wanderer! 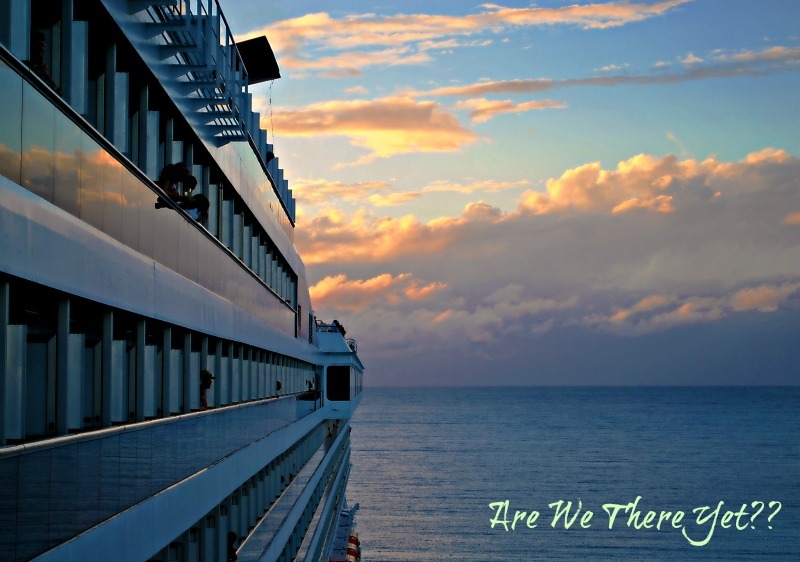 As General Douglas MacArthur once said, "I shall return!" Heck, maybe I'll even return to the Weiner Genie for more gaggas, too! I can't stand raw onions on my food either! I don't mind cooked onions, though. That's why they laugh at me when I order a hamburger with no onions and an order of onion rings! lol Sometimes it's those small ordinary looking diners that serve up the best food. Quite the unusual name, though:-) I'd never heard of "gaggas" but now I know what they are, thanks to you!! lol Sounds like it was a fun day for you and the girls. 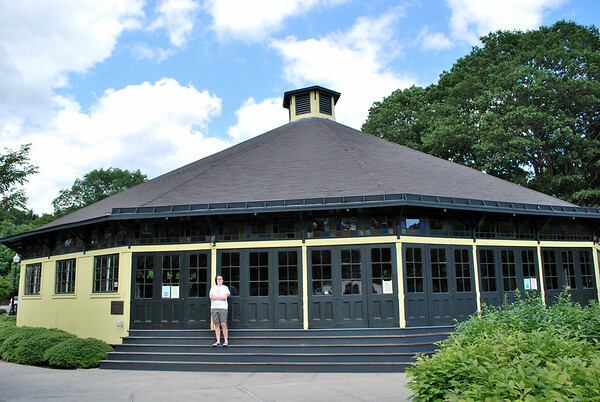 What a shame that carousel house was closed. It looks very similar to the vintage one they have in St. Catharine's, not far from Niagara Falls. You can take a ride on it for .5 cents a ride:-) We've been a few times, I just love it!! i'm with jamie on the tuna club! Tuna club for me, too. Please. Hot dogs do not like me. Although I do love onions! 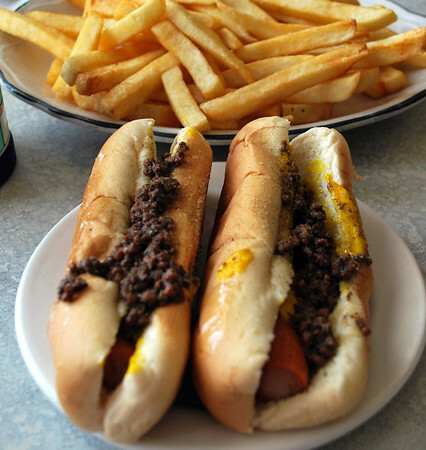 Love hot dogs but prefer sauerkraut to Chili or other toppings. 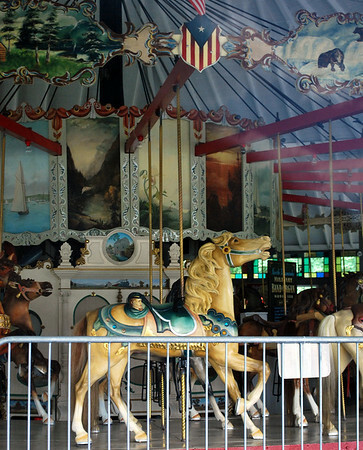 Now that Carousel looks wonderful. I'll look forward to you being distracted by that at a later date. I'm with you and Amanda - no onions!